The Garden[Q] is available in different versions. 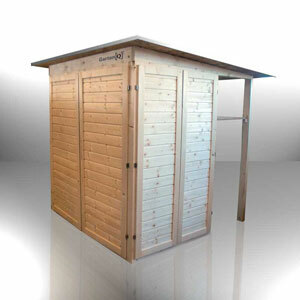 For all needs and every budget. 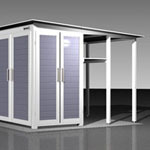 Please scroll down or open the products with prices for printing. 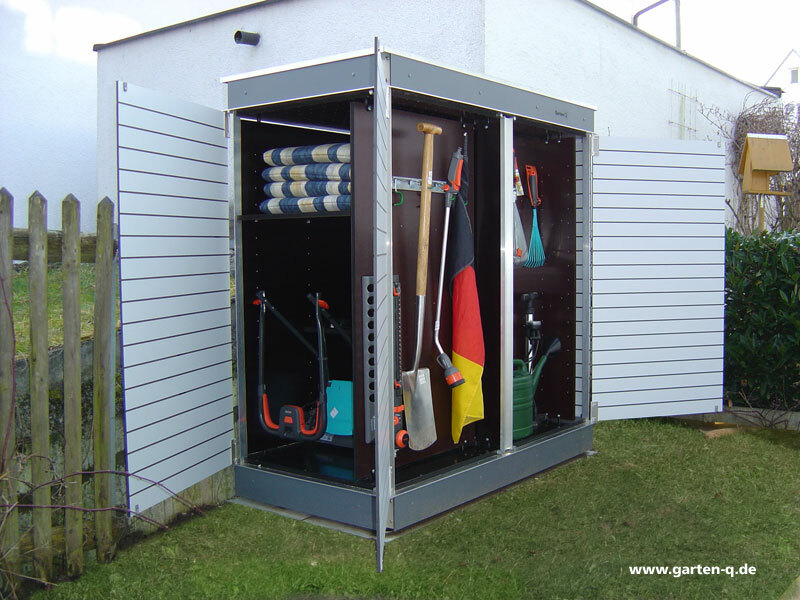 More Garten[Q]-Products. 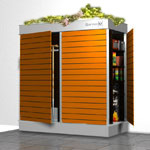 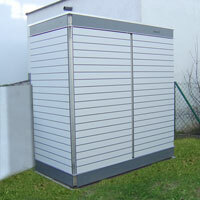 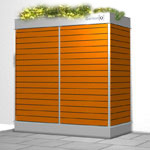 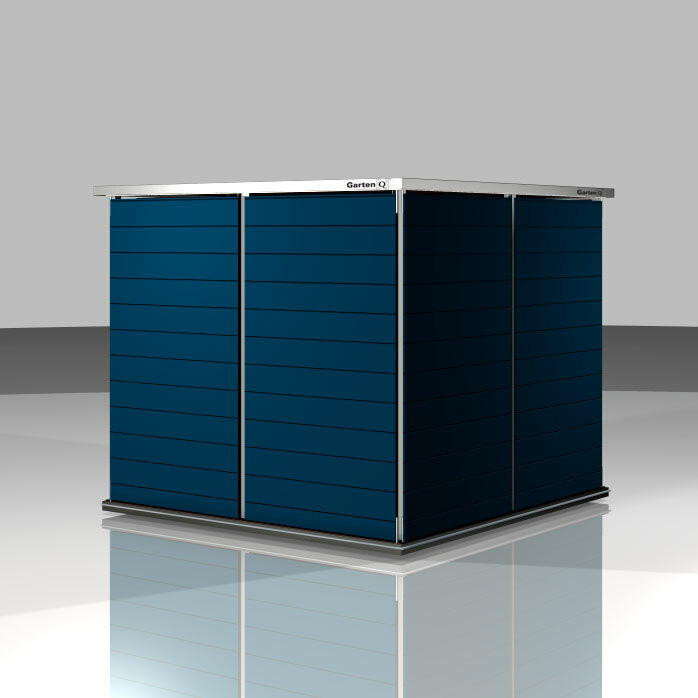 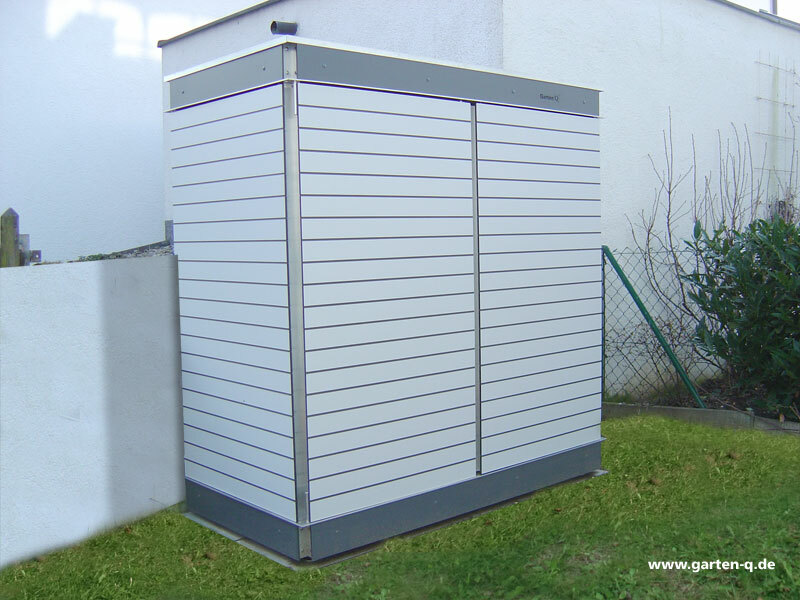 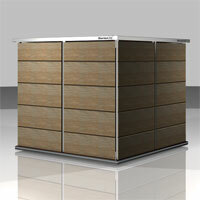 The ideal garden Cabinet for all small gardens and roof terraces. 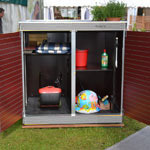 At only 160 cm x 80 cm base area you get more stowed as in a small garden hut! 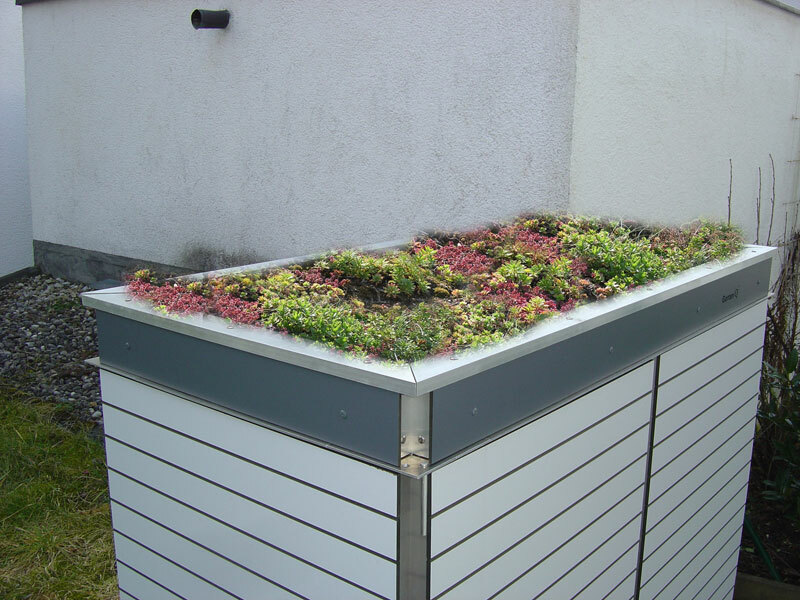 Completely maintenance-free with and without the possibility of roof greening. 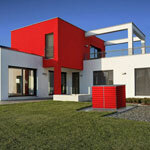 Click on the slider of "TERAS" to learn more. 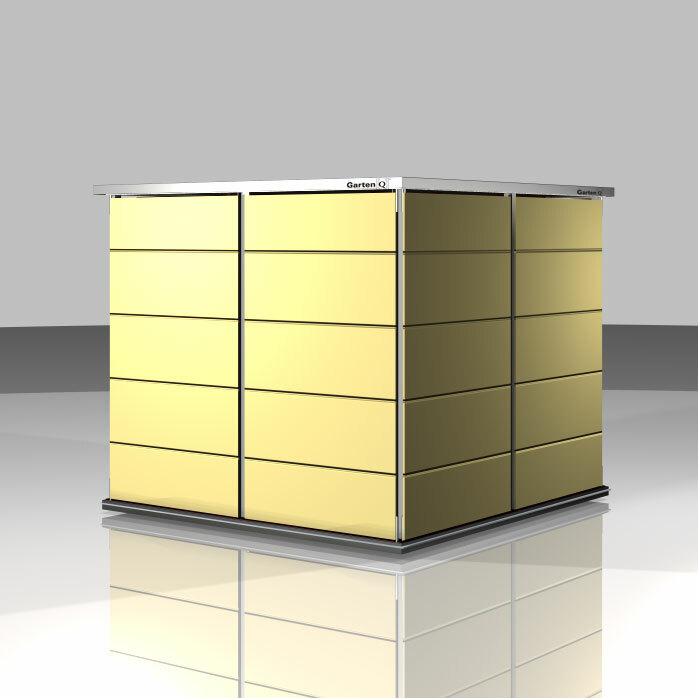 The best materials, top design, full facilities. 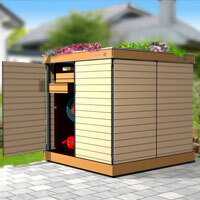 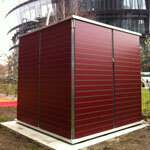 The garden shed UNO is a real eye-catcher for every garden and as a "miracle of space" a real log cabin alternative. 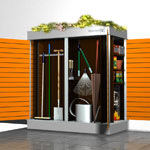 Completely maintenance-free! 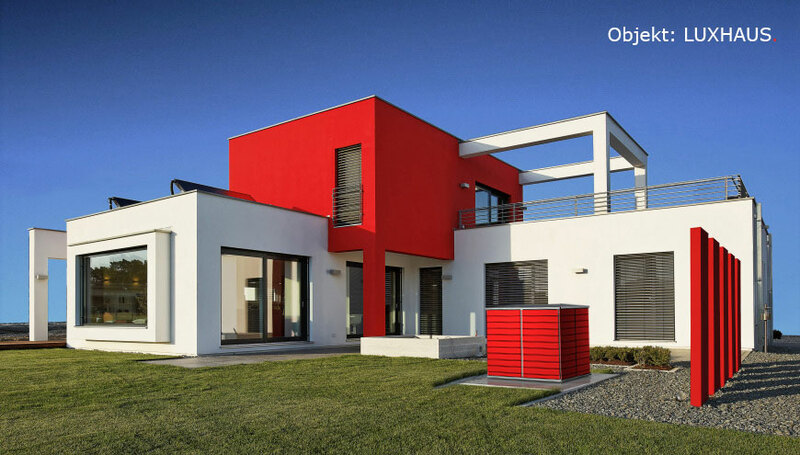 Click on the slider of "UNO" to learn more. 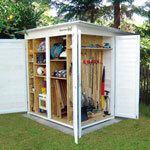 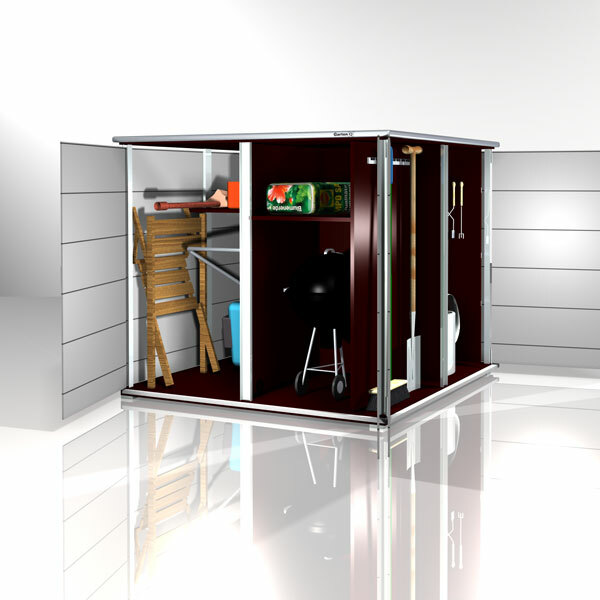 The pure designer garden house with plenty of storage space for your gardening tools. 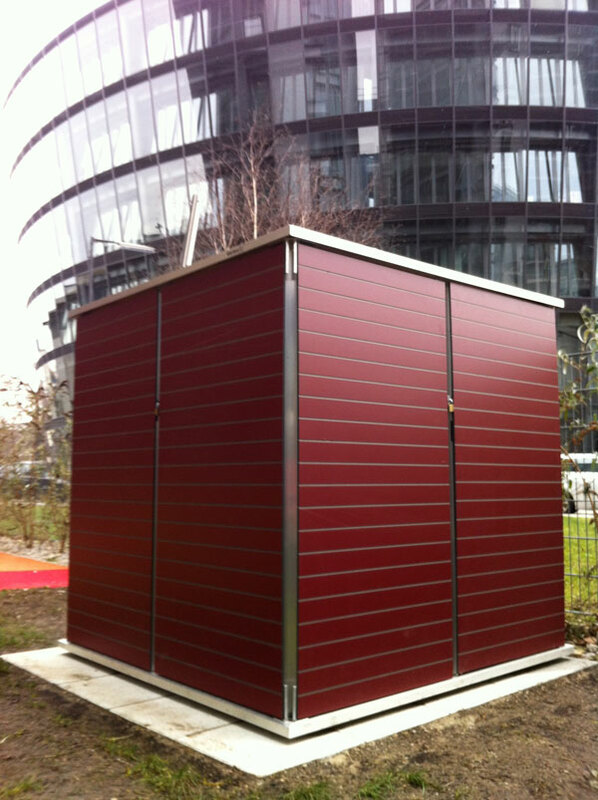 The Garden[Q]pure is build with high-quality materials. 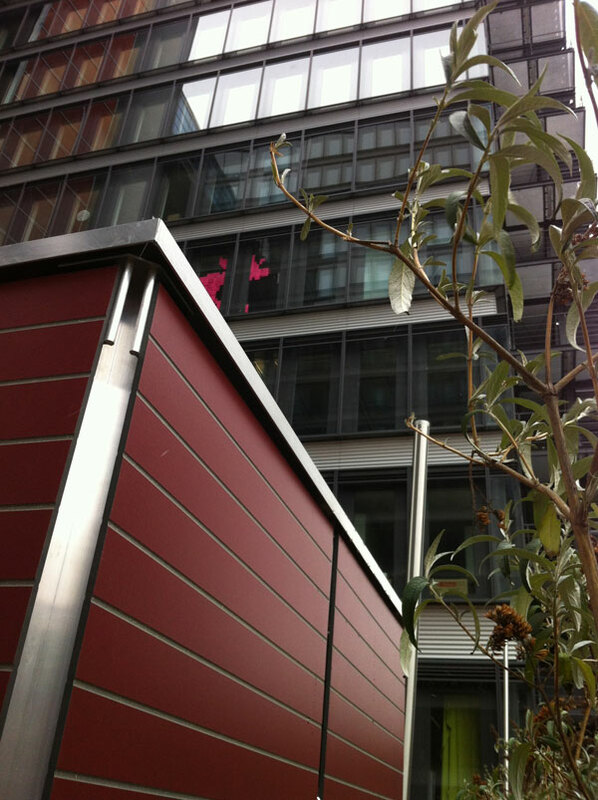 It's interior leaves nothing to be desired. 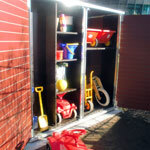 Completely maintenance-free! 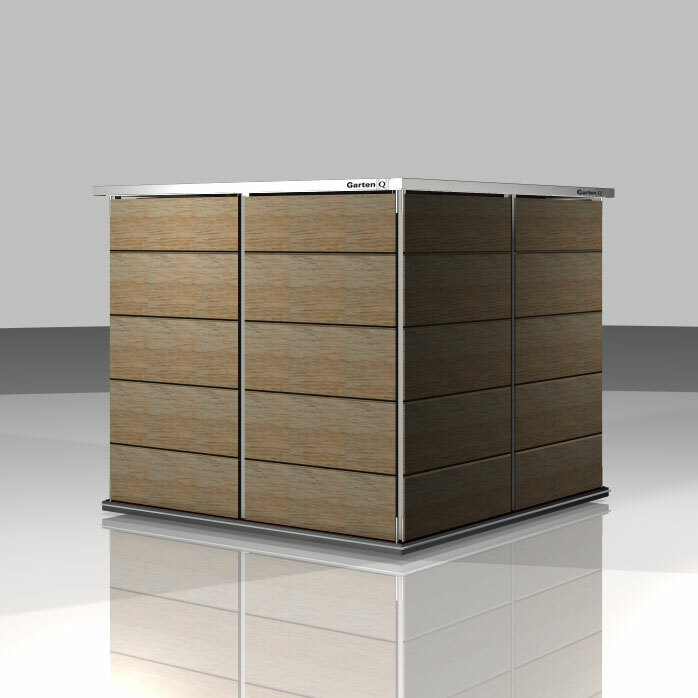 Click on the slider "PURE" to learn more. 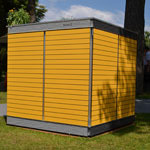 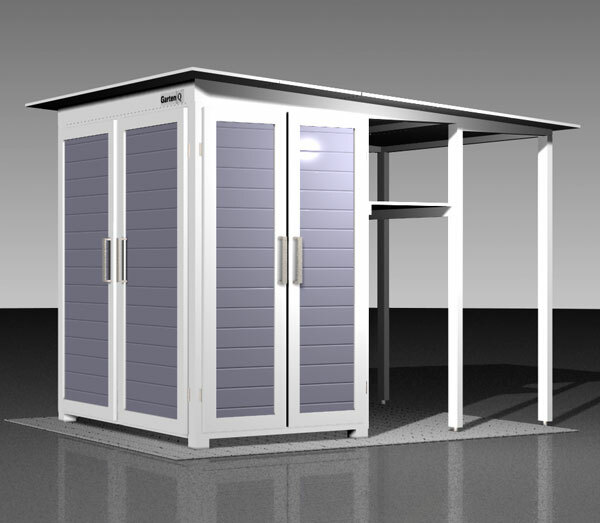 The largest model with 2 m x 2 m x 2.20 m. Inside you will find fourtimes more place for devices as in any comparably large garden hut, plus bicycles. 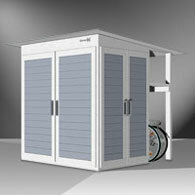 Click on the slider of "BIKE" to learn more. 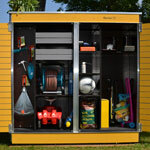 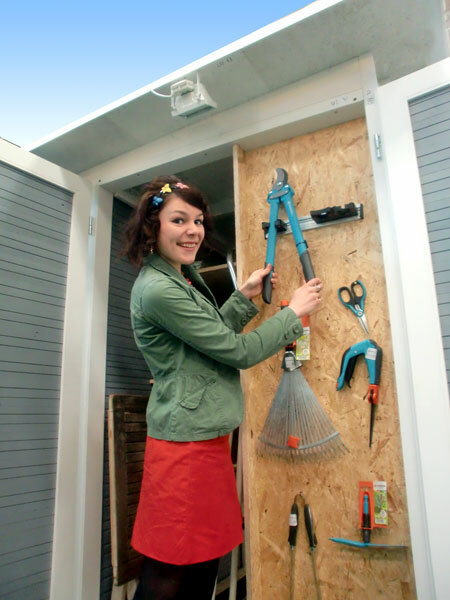 The modern tool shed with a difference! 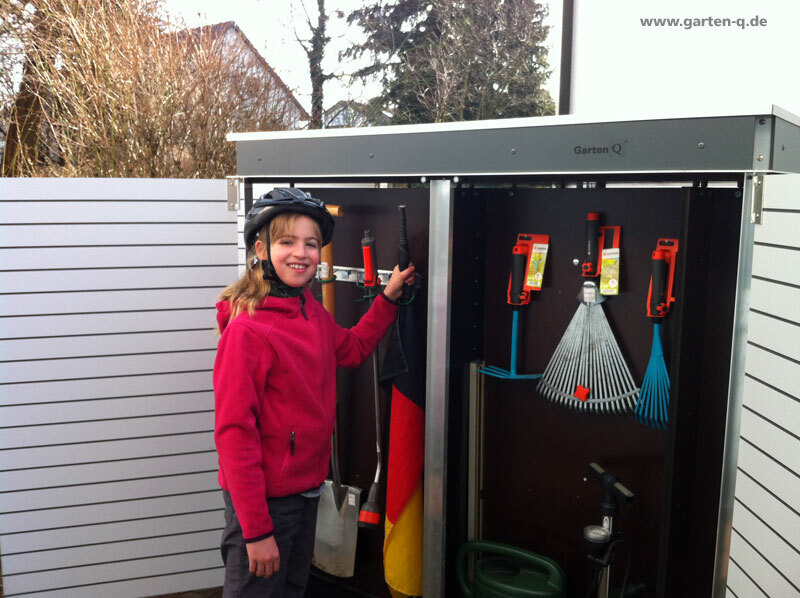 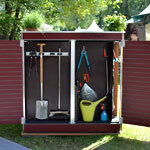 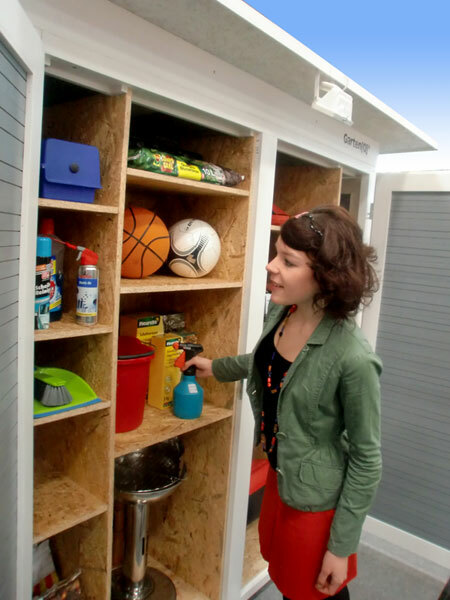 On little space you get much more stowed away as in a conventional garden cabinet for gardening tools. 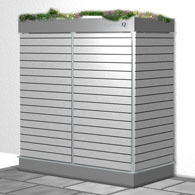 Due to its mass, it is suitable as cabinet of roof terrace or larger balcony. 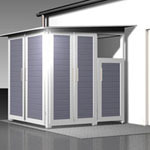 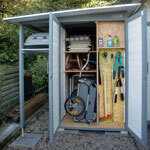 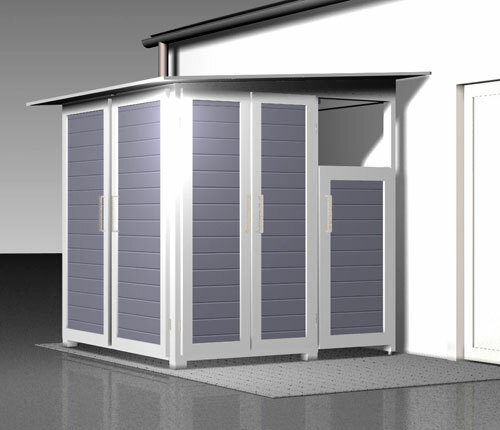 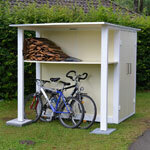 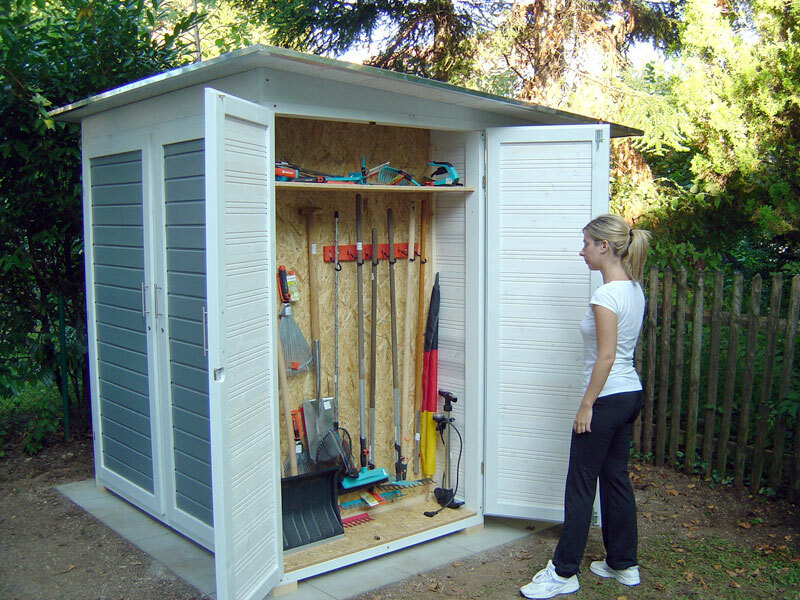 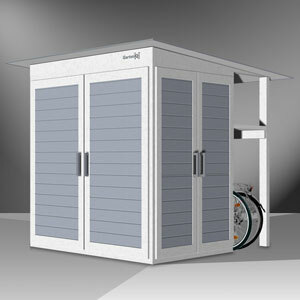 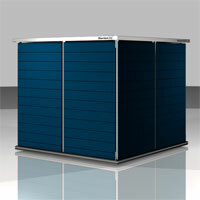 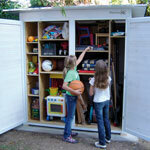 You get these tool shed with and without the possibility of roof greening. 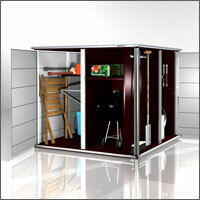 To open from two or three sides, thus your [Q] can be placed in a corner, also. 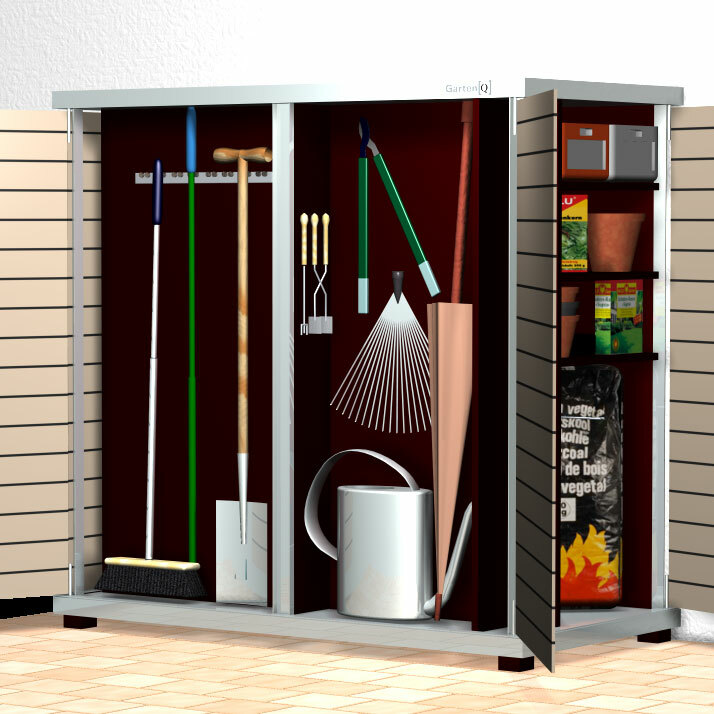 You can configure free all the shelves themselves. 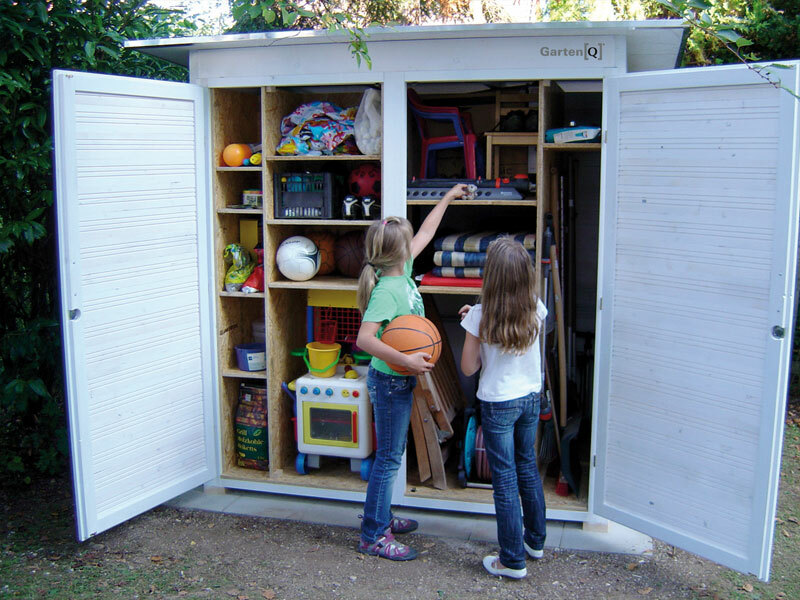 Much like in a closet or Bookshelf. 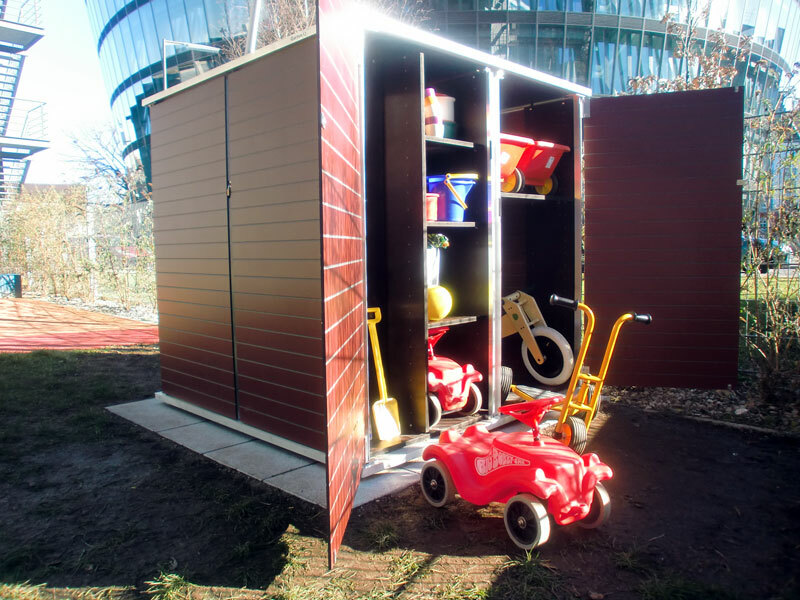 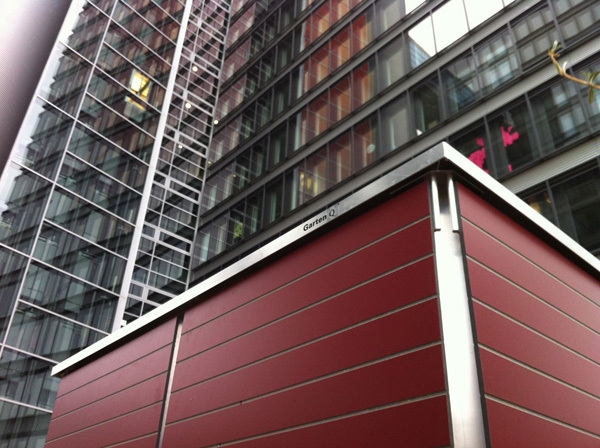 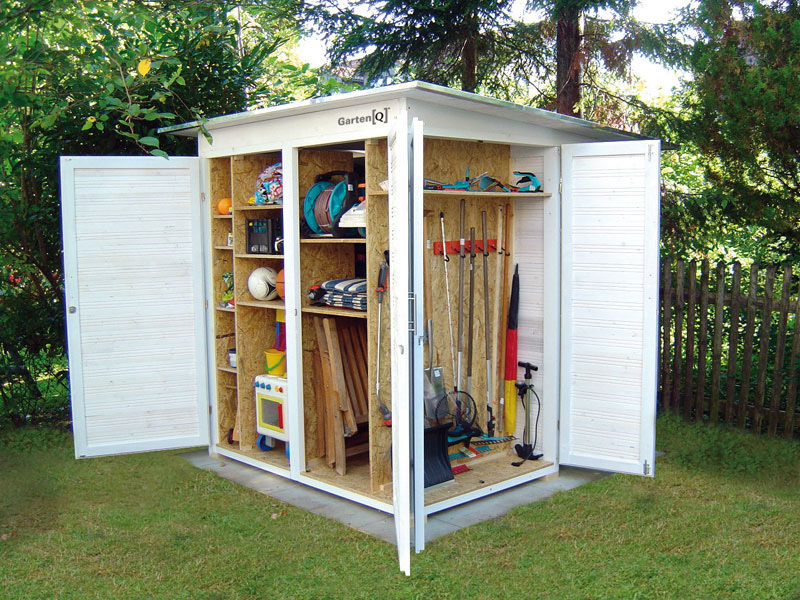 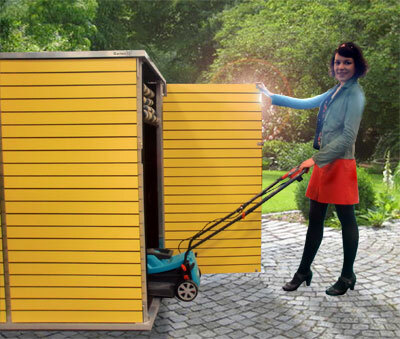 Whether Garden[Q]Teras covered or bright colors, the modern tool shed always looks great! 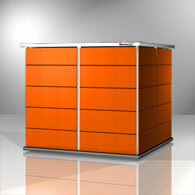 More than 50 colors are available. 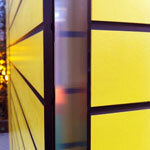 Optionally with many or little strips. 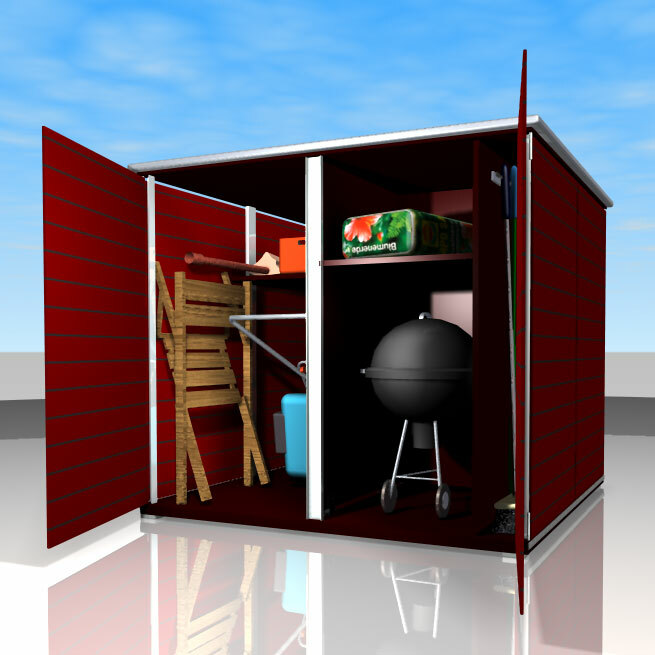 You have any questions? 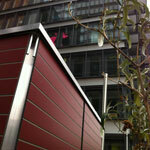 -Write us, we will gladly answer them. 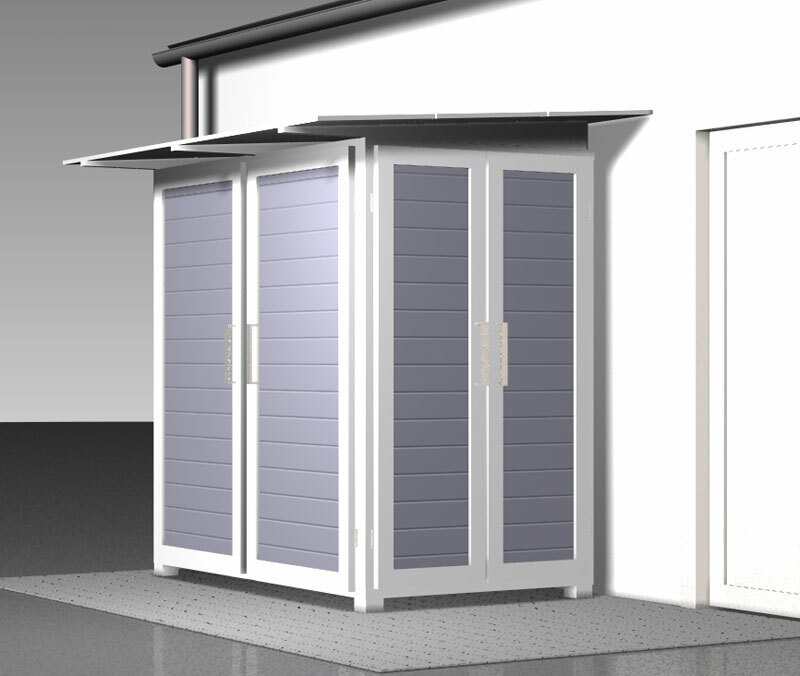 The better alternative to a Garden House: Order and design! 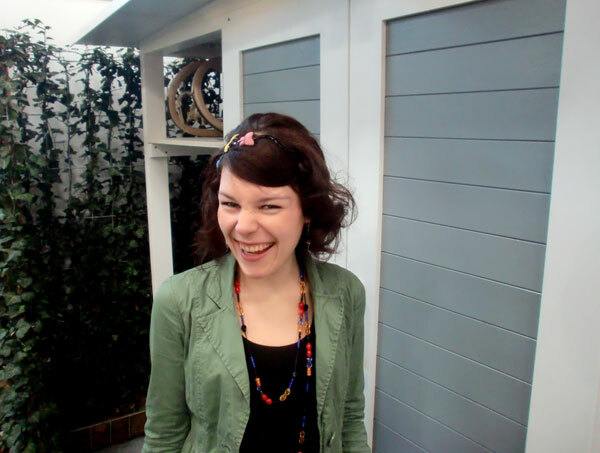 The Garden[Q]UNO gives pure joy while gardening. 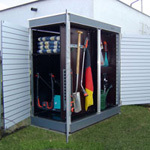 Many different deep shelfs, hatchs and drawers are hidden behind its doors. 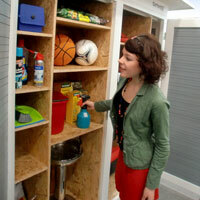 Of course, you can arrange the shelves according to your individual needs. 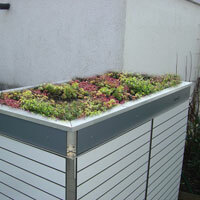 It has a comfortable roof structure with possibility of roof greening. 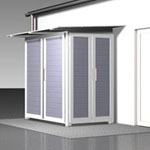 The modern designer garden house has a scuffproof floor construction consisting of a special plastic plate and height-adjustable feet. 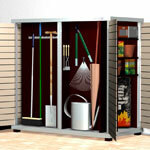 The Garden[Q] is quickly built and dismantled in the event of a move or a reconfiguration of your garden. The modern designer garden hut - modern and flexible. The Garden[Q]pure is the modern garden hut for small gardens. 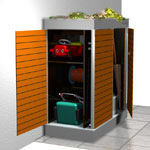 It combines design with functionality and is completely maintenance-free. 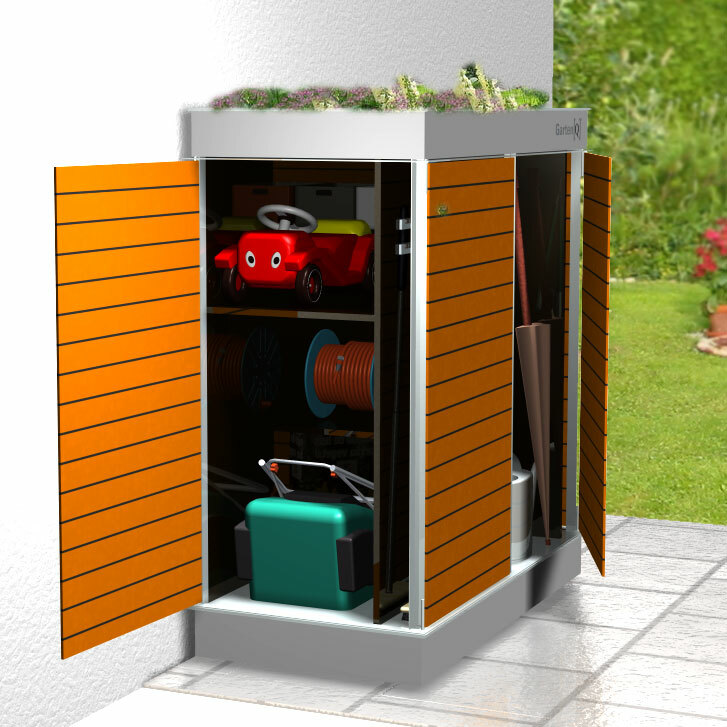 As with all Garden[Q], the complete interior has an intelligent structure for usage as storage space. 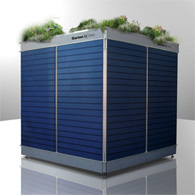 Due to the missing possibility of roof greening, it is the affordable alternative to the Garden[Q]UNO. 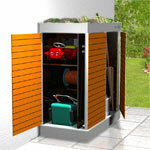 This gives the Garden[Q]pure a more stylish design and even more storage space. 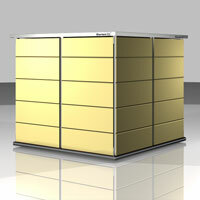 - All models convince in terms of processing, quality and maintenance-free. 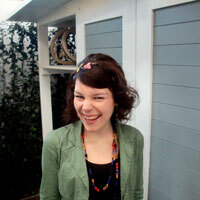 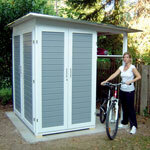 - A designer garden hut must be so: modern and functional. 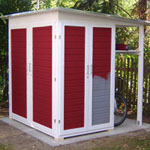 You have any questions? 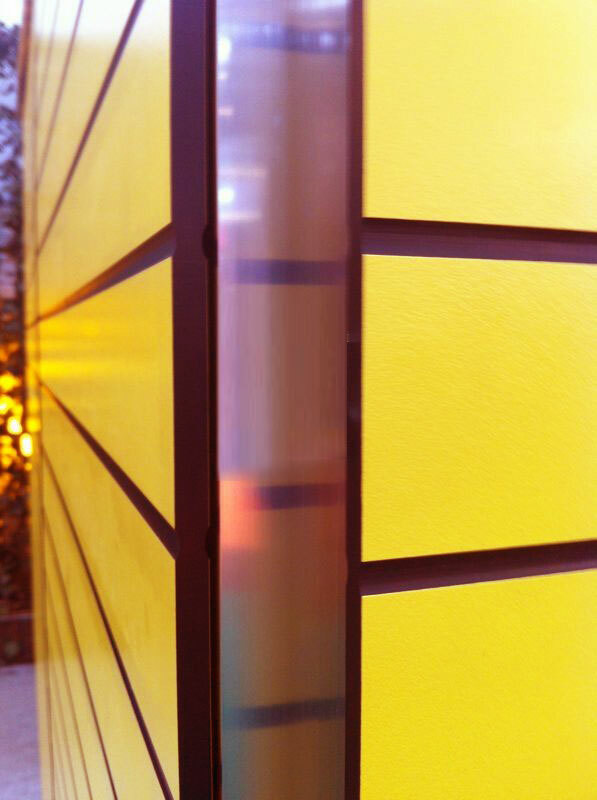 - Write us, we will gladly answer them. 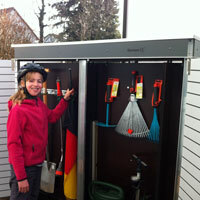 The Garden[Q]BIKE is a genuine space saver for those who have to stow a lot of things. 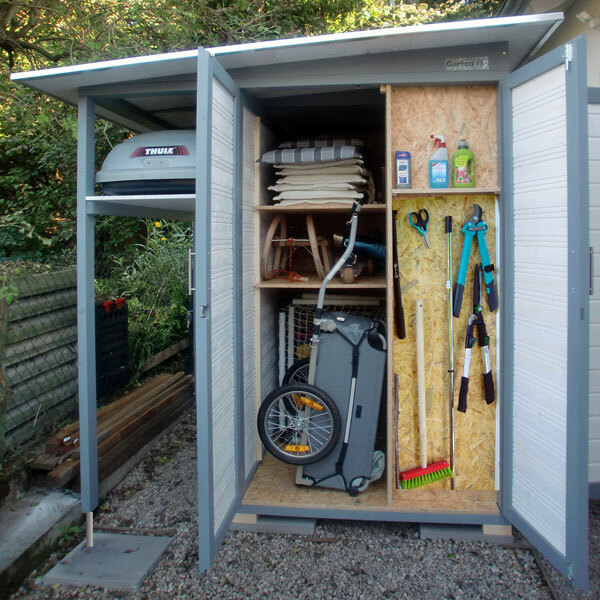 The base area is only 2 m x 2 m but you get about four times more stuff into than in a comparably large garden shed - in the usual Garden[Q] -order. 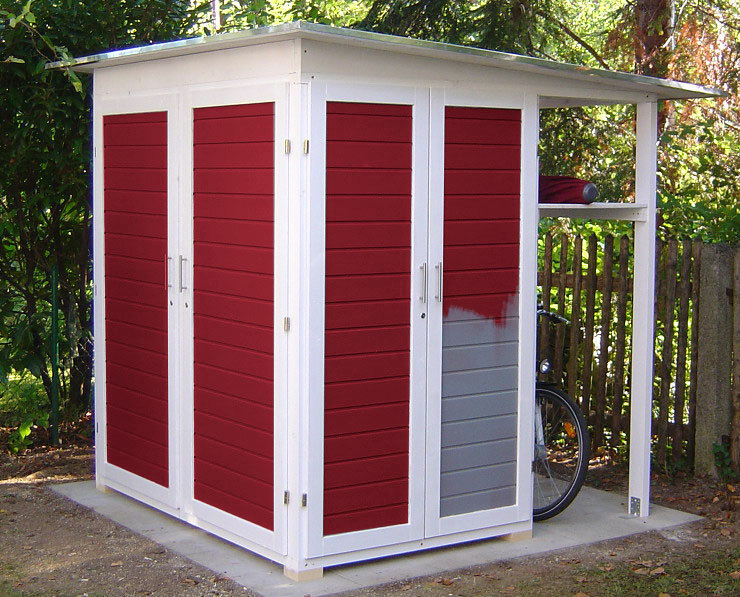 The roof and the two-tone painting give a modern look to the garden shed. 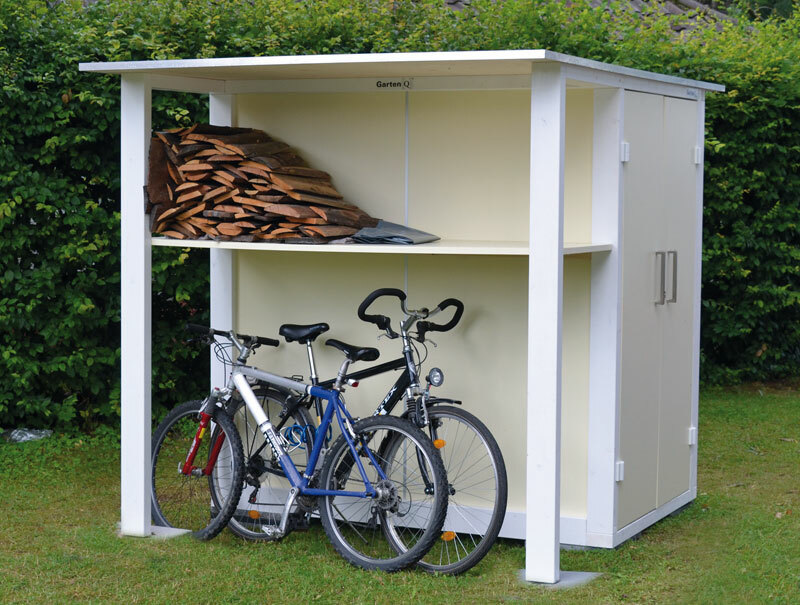 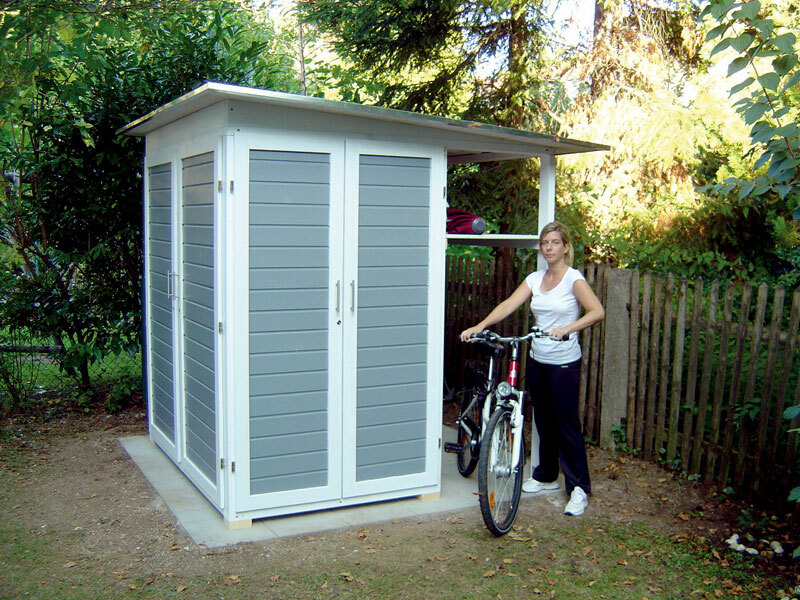 On the back you will find a bicycle storage area coupled with a large storage compartment for firewood or garden furniture. 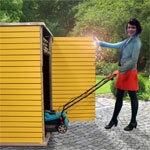 All in all the Garden[Q] BIKE is the modern Garden House for all those who love order and have to stow a lot of lawn tools.